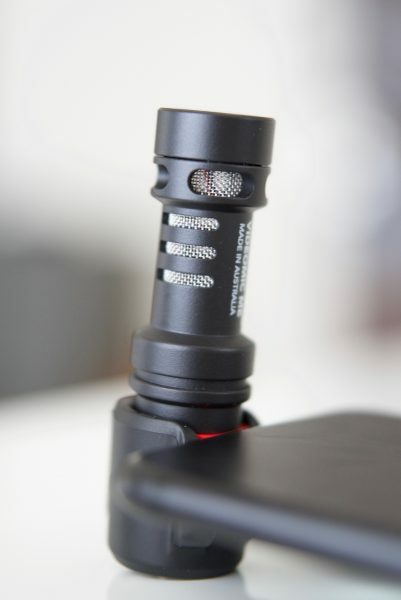 The RØDE VideoMic Me-L is essentially the same as the original VideoMic Me, but it has a lightning connector instead of a 3.5mm jack. Hence the reason for the letter L at the end of the products name. With the announcement of Adobe’s Project Rush and Instagram TV, mobile video is on the rise. 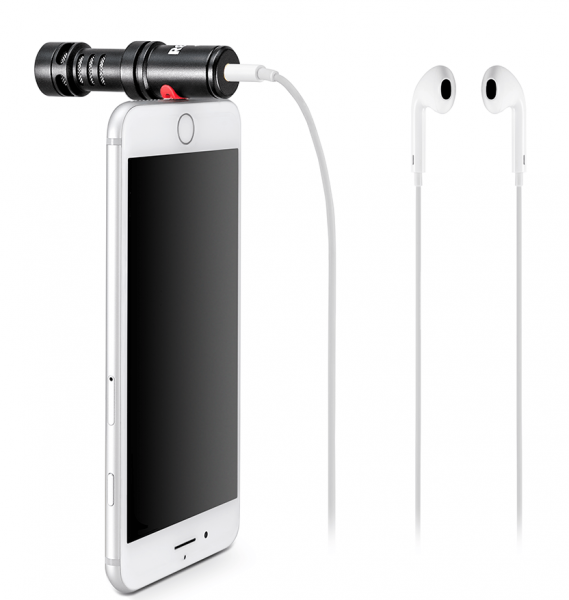 There is a growing demand for smartphone accessories such as microphones. 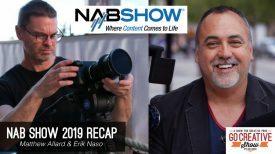 While RØDE has not mentioned any further products in the range, you would have to think that they could also make a version using a USB-C connection for those using Android devices. With Apple chopping and changing features from its iPhones all the time, who knows how much longer they will keep the lightning connector. The VideoMic Me-L features a very similar design to the standard VideoMic Me. The casing is made of aluminum and it is certainly well made and robust considering it’s for a mobile device. 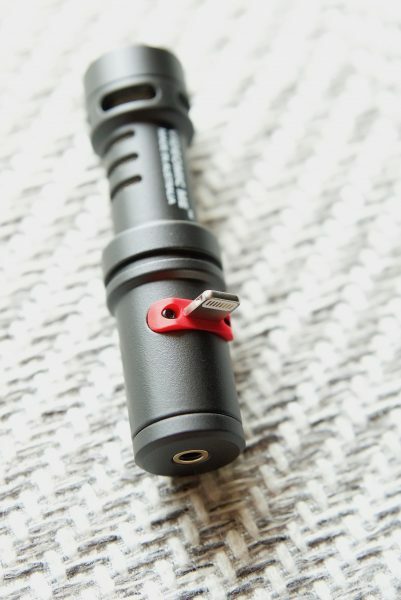 The lightning connector is encased inside an additional mount that is held on by two screws. I take it this is there to provide more support and to make sure the connector doesn’t break or get bent. 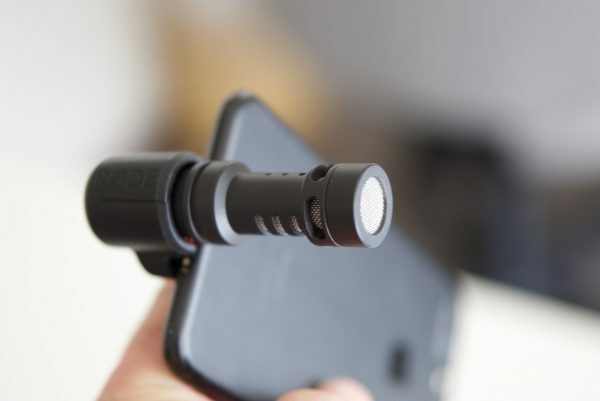 RØDE gives you an adjustable rubber mount to securely mount the mic to the iOS device. While this does work well it does make pressing the home button on your iPhone a little more difficult. 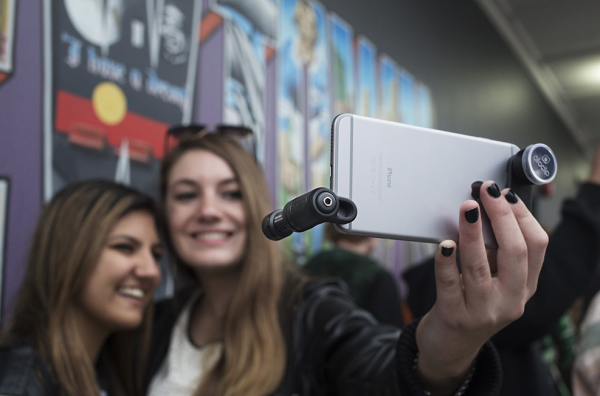 As soon as you plug in the VideoMic Me-L will become the default microphone for all recording and video apps. RØDE includes a windshield with the VideoMic Me-L which is extremely useful for shooting outdoors. It doesn’t matter if you have the best microphone in the world if it isn’t protected from wind noise your audio is going to sound horrible. The WS9 windshield does look almost comically large when placed on the VideoMic Me-L, but it’s designed to work in very windy conditions. 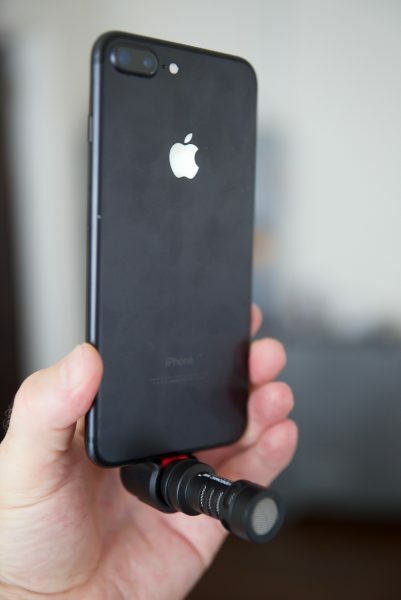 It fits on securely to the mic and I did find the added benefit was it offers a nice place to rest your fingers and to make holding onto your iPhone a lot easier if you don’t have the phone on a selfie stick or other mounting device. If you do find the windsock is lacking some character, you can just create your own! What sort of Mic is the VideoMic Me-L? 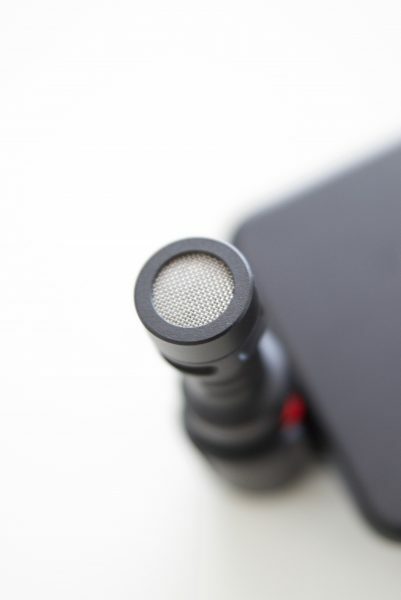 The VideoMic Me-L features a 1/2″ condenser microphone capsule, that RØDE claims will produce a higher quality of audio. All of the audio is transferred digitally via the lightning port to the device. It is also a directional microphone so it will pick up more audio from the front and cancel out the sound from side and rear. This is important as when you are filming with a smartphone you generally don’t want to hear any audio behind you. 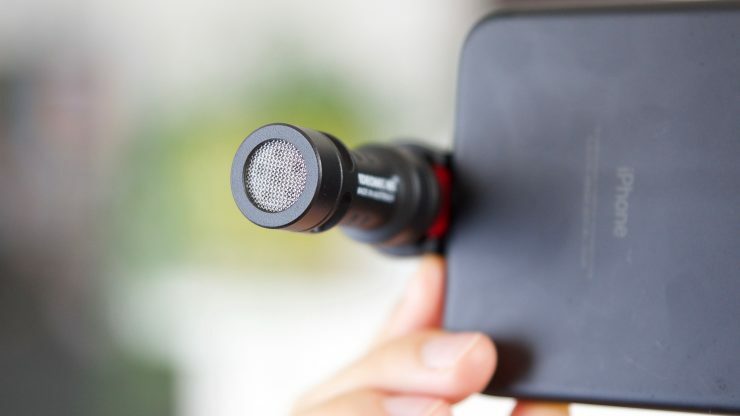 If you are a V-logger and need to film yourself, the lightning jack is reversible, so you can face the mic back towards yourself in selfie mode. 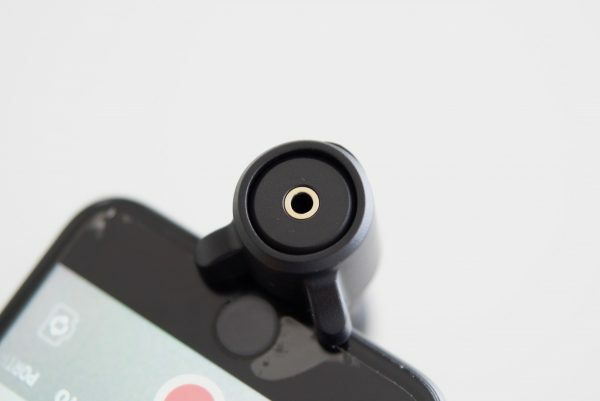 A 3.5mm headphone jack is still present on the rear of the mic so you can monitor and playback your recordings. 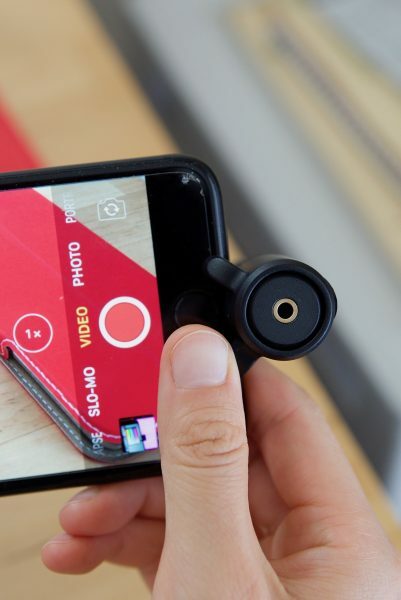 This is nice since the mic is using the lightning port so you don’t have to unplug it to plug to playback with the built-in speakers or use a lightning to 3.5mm dongle to plug-in headphones. 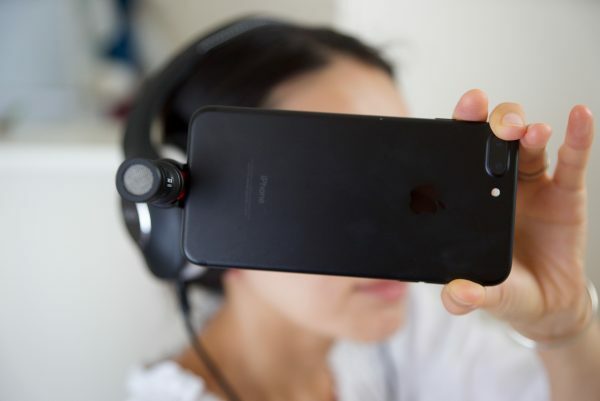 This somewhat solves the problem of not being able to monitor your audio from a smartphone or tablet as the VideoMic Me-L is taking up the only place on your device where you could plug headphones in. While you can’t actually monitor the audio that is being recorded in your device, you can at least hear what the audio sounds like and if you are picking up the audio you need. What you have to remember when using the VideoMic Me-L is that you are limited as to where the microphone is placed. Because it has to connect directly to the lightning port of your iOS device, depending on how you are shooting with your smartphone and tablet you may run into problems. Shooting in the normal horizontal mode is fine, but if you want to shoot vertical video (cold shivers going down my spine), then the microphone will be at the bottom of your device. You can of course just flip your phone upside down to put the microphone at the top, but then your hand is going to get in the way of the lens. 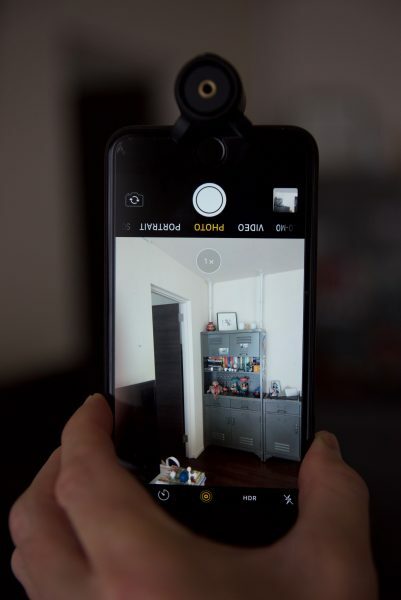 The other thing you need to take into account is if you are using the adjustable rubber mount with the VideoMic-L it makes it hard to fit on your smartphone if it’s in a case. This, of course, does depend on what type of case you are using. For me personally, I keep my iPhone in a case, so to use the VideoMic-L I need to remove my phone first. If you are, however, a V-Logger or you using your iPhone on a selfie stick or other mounting device for filming, this shouldn’t be too much of a problem. 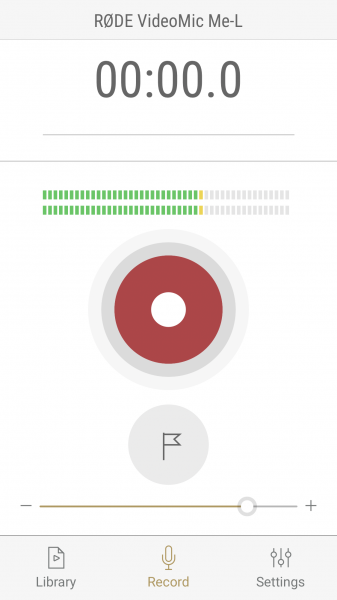 I was surprised to find out that it didn’t work with the RØDE Record App. The App didn’t recognize the VideoMic Me-L when it was plugged in. 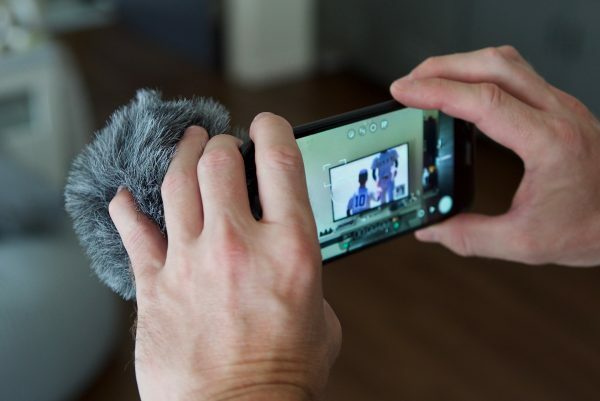 It does, however, work with RØDE’s Reporter App, and other apps such as GarageBand and Voice Memos so a reporter, for example, could use it to record a voice track in the field in a pinch. How does it actually sound? The whole reason you buy a product like this is to get better audio, full stop. If the audio isn’t going to be considerably better than your phones internal microphone then what is the point. Fortunately, the difference between using the internal microphone on your iPhone and the VideoMic-L is night and day. There is a huge difference in just how much better the audio sounds. 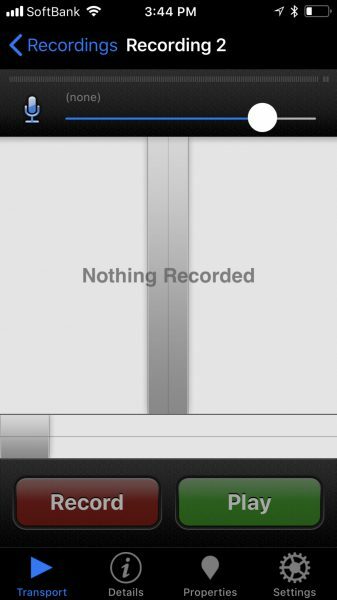 Gone is that horrible audio that sounds like it was recorded from 10 meters away in the worlds worst acoustic room. Now you get clean, clear audio that is usable. That’s not to say you should expect to get audio that sounds as good as a professional microphone set up, because you won’t. But realistically, that’s not what the VideoMic-L is designed to be. You also have to keep in mind that it doesn’t have a pickup pattern like a shotgun microphone so if you are too far away from the microphone it isn’t going to be great. In saying that, if you are in a quiet environment you can get away with using it from several meters away. Ideally though, if you want to get the best possible audio it really does need to be within a meter or so of where someone is speaking. If there is lots of background noise then because of the mics pick up pattern, you are going to struggle. 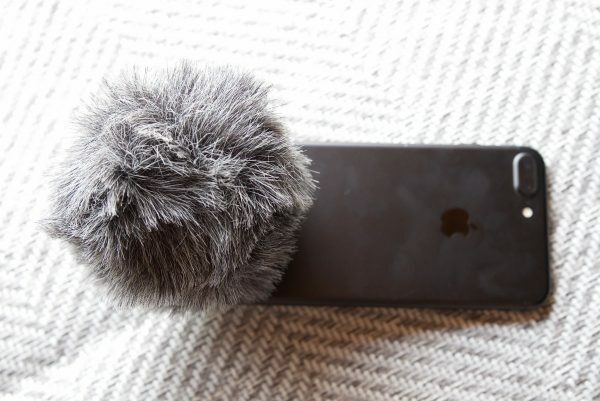 I don’t really think you are going to see people carrying around the microphone in their pocket and pulling it out when they want to do something with their iPhone. 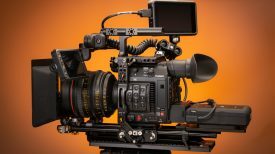 This device is primarily being targeted at mobile filmmakers, journalists shooting on an iPhone, and V-Loggers who will have a small filming solution set up and need to capture better audio. The VideoMic Me-L will retail for USD $79 and is set to start shipping this month. 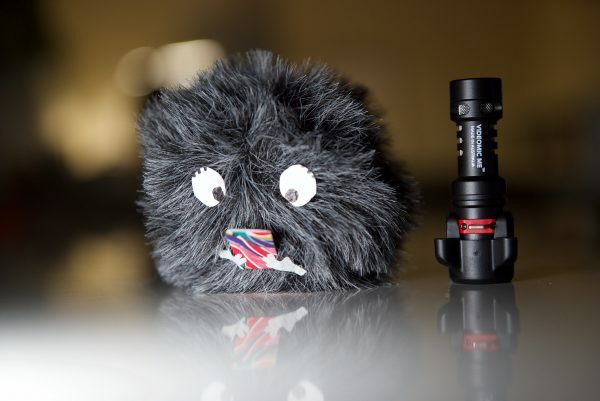 The VideoMic-L isn’t a one-stop microphone solution for mobile filmmakers, but it will get you good audio in a lot of scenarios. It’s well made and most importantly it lets you record far superior audio than your iPhones internal microphone is capable of. I’m actually surprised that RØDE hasn’t made a lightning version of their smartLav+, because I think if you used that microphone and the VideoMic-L, you would have a pretty comprehensive audio solution for mobile filmmaking. You can still use the existing smartLav+ with the Lightning to 3.5mm adaptor though. The thing to keep in mind as I mentioned earlier, is that Apple could very well be getting rid of the lightning port on future iPhone models, so the lifespan you could realistically expect from the VideoMic-L could be limited. 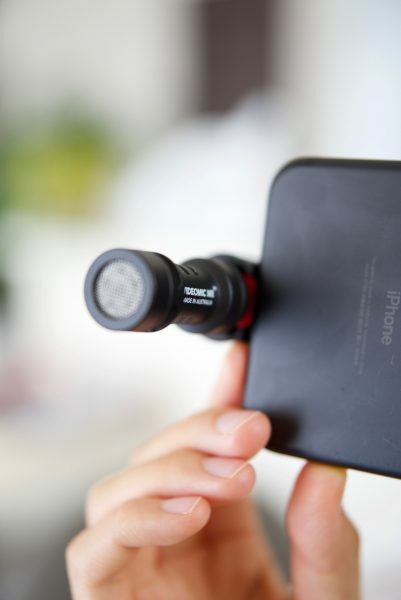 At the end of the day, using the RØDE Microphones VideoMic Me-L is a nice way of conveniently and easily capturing higher quality audio on your smartphone or tablet. 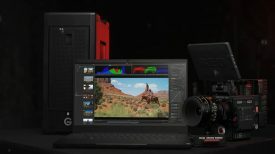 If you are a mobile filmmaker it is definitely worth checking out.